People in business work hard on “their” day to day activities, often intent on their timeline. A pair of fresh eyes from the outside can immediately see steps in the process that add no value. After a period of observation the right questions often will lead to great efficiencies created by the people doing the work everyday. In our experience, this relatively inexpensive approach has provided easy wins to business owners with the foresight to get started. Processes re-packaged and presented from a slightly different perspective can increase cash flow with negligible expenses because most of the process is already happening. Are you tired of thinking about hiring a consultant, that you need to teach about your business while you are paying them, and then receive a document telling you what you told them? Is there anything worth implementing? Why do many of these tomes collect dust on bookshelves? Words without action are just words. Improved processes, implemented quickly, save money and yield profits. We want to help you make more money and we will do that by helping your employees improve the process with simple tools. Next, let’s develop a culture that improves everyday with everyone because it is efficient. Call us. 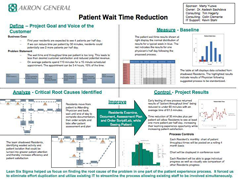 Click the story board button on the left to view a typical problem in healthcare and patient wait times. 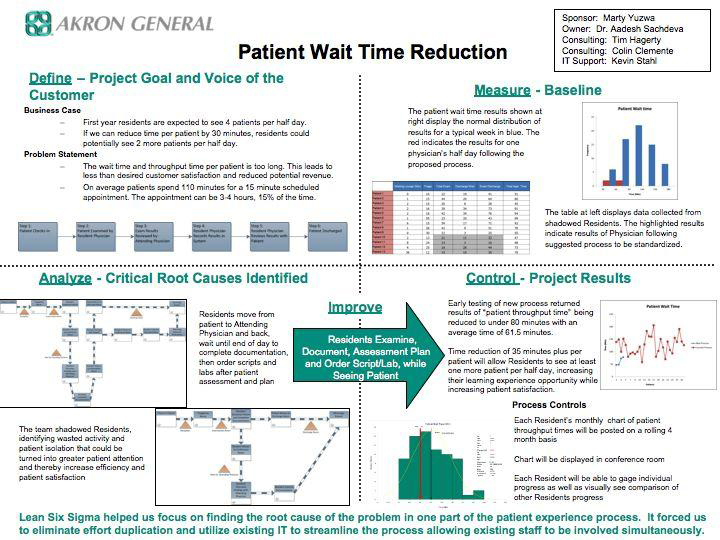 This describes an entire process observed and modified in less than ten man hours of total employee and improvement specialist time. The changes reduced median wait time for a 45 minute appointment from 110 minutes to under 70 minutes. This was a simple first step. When you allow us to help you will come to understand our motto—Improving Everyday with Everyone!